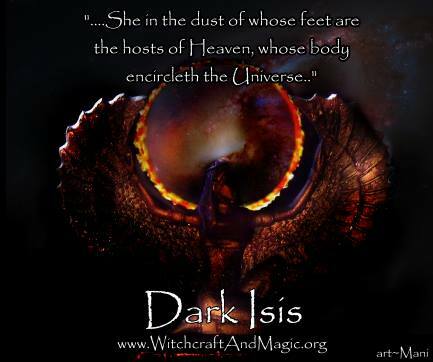 Dark Isis unveiled – my thoughts on Star Goddess and Dark Energy | QuantumPhoenix.net – Esoterica, Paganism & Ritual Magic. “..Listen to the words of the Star Goddess, She in the dust of whose feet are the hosts of Heaven, whose body encircleth the Universe,” goes one of the lines in the Charge of the Goddess. As an astrolger and a magician / Wiccan, I am particularly fond of those lines. I take it to mean that the body of the Star Goddess is so vast that in covers and encompasses the whole Universe, and that even the mere dust from the feet of the Star Goddess are the `Hosts of Heaven’ (ie other deities, angels etc). My knowledge of Science & Astronomy tells me that Stars and Planet and galaxies are made of vast amounts of interstellar dust and gas that have coalesced by the pull of gravitational forces to form those objects, and those gas and dust clouds of primordial universe were made of sub-atomic particles …electrons, protons, neutrons and yet smaller `objects’ such as quarks, gluons and photos. Here on Earth, often religious prose talks of powers of god, goddess, nature, and elements – air, fire, water, earth. But these are not the fundementals of nature – atoms, subatomic particles and forces such as electromagnetism, gravity, strong and weak nuclear forces..
What is interesting now in modern times are the many theories and scientific explorations of yet more hidden entities of nature – such as Dark matter & dark energy..which are seemingly undetectable at the moment by direct means, but have been scientifically attributed to be making up the `missing mass’ of the Universe, and the hidden forces / energies responsible for the way galaxies behave – pushing each other apart (the expanding universe). These all start to come back to the hidden nature, energy and forces that are `out there’ – not just the known forces and faces of deities but the veiled, powerful and unknown. Of course in different religions, their respective followers worship their own versions of these hidden forces and deities. In ancient Egypt (and now modern pagan traditions), the `Dark Isis’ seems to be a popular form of deity who stands for such hidden power. Dark in this sense (in my view) does not mean dangerous, evil etc but simply hidden. Returning to the idea of what existed `before the big bang’ that created the known Universe and its contents, we can start to get a feel of the reality or non-reality – the non-existing creative force that brought forth the Universe. Science has no answers there, so it is fine for a scientist (and a magician) like me and others to speculate,ponder and muse. 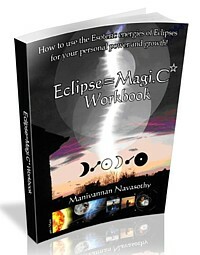 I will say more about these concepts in future posts.. There’s quiet a bit of such thoughts in my book `Eclipse Magic Workbook’ . 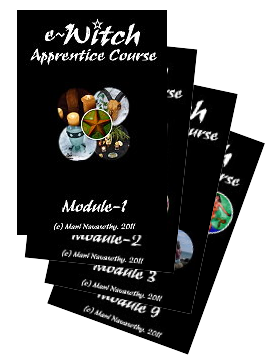 And more of it will be explored in the forthcoming book `Quantum Magic for Pagans’ . They both tackle the questions of looking deeper into what we call magic, religion, power and ultimately forces of nature and Deity! I was once told by someone , Isis is dark and bad, in meditation she came sat next to me and she was of a glowing white and she said ” don`t be afraid there is no truth in me being bad” and I could feel this. I am a Reikia and for some reason or another I am able to see and feel the dark parts of the people I meet . Their shadows . All goddesses are one goddess. As for Dark (shadow) parts of the people ..am all for exploring and integrating all aspects of ourselves into one, rather than discard or avoid certain aspects – which can give rise to hidden psychological problems.. (and that;s when people end up becoming psychpaths, socially mal-adjusted, rapists, murderers and so on. Pingback: Sanctuary of the Goddess (Visionary art & ideals) | QuantumPhoenix.net - Mani's Esoteric Blog where Science & Magic entangle...!